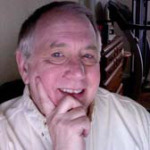 Welcome to David Dunkle, our newest guest blogger. With a lifelong interest in telling people why they should love the arts, David recently spoke with choreographers Jeffrey Cirio, Kelly Ann Sloan and Matthew Powell about their new works premiering during June Series and with Darla Hoover about two Balanchine Company premieres. Perhaps the hardest part of ballet is making it look easy. The gifted students at Central Pennsylvania Youth Ballet are trained to make every movement on stage appear spontaneous, as if they just that moment thought of it. But the young dancers taking the stage during CPYB’s four-day June Series at Whitaker Center for Science and the Arts know that is far from the truth. The truth is, little is left to chance during a ballet performance, whether it’s at a renowned regional school like Carlisle-based CPYB or one of the professional companies found in major cities. In ballet, no croise devant or arabesque occurs randomly. Each movement is carefully planned and rehearsed for weeks or even months before the work is performed in front of an audience. The task of arranging the flowing movements you see on stage falls to the choreographer, whose work allows dancers to bring music to three-dimensional life. During the course of five different shows over a four-day period, CPYB’s dancers will bring back old classics from the school’s repertory and perform some works by the great choreographer George Balanchine for the first time. They also will unveil some entirely new works from promising contemporary choreographers Jeffrey Cirio, Kelly Ann Sloan and Powell. Joining the school for two of the shows will be another group of talented youngsters, the musicians of the Harrisburg Symphony Youth Orchestra, conducted by Gregory Woodbridge. They will perform live at Whitaker during two performance of Cirio’s world premiere work, which is set on the lovely Violin Concerto in A minor conceived in the 18th century by the great composer Johann Sebastian Bach. Choreographer Jeffrey Cirio with CPYB student Abby Jayne DeAngelo. What the June Series does not feature are storybook ballets like Balanchine’s “The Nutcracker” or “The Sleeping Beauty,” which the school does perform at other times. “Works like we present in June Series are an entirely different ballet experience for dancers and audiences alike,” CPYB Founding Artistic Director Marcia Dale Weary said. Some choreographers start with the music, and others with the movements, but all are striving for a collaboration between dancers and music that creates art, whether it’s in a ballet hall or a Broadway stage. Cirio said he often sees abstract movements in his head and then looks for the correct music to bring them to life. “I like to paint the music,” he said. 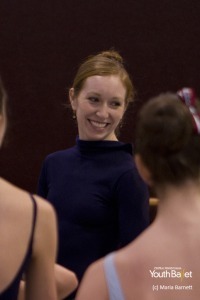 Sloan, a June Series veteran who contributed a work in 2012, said she is usually captivated by a particular composition, then begins imagining ways to transform it into ballet. This year, Sloan is using music from Anatoly Lyadov, Eduard Strauss and Henri Vieuxtemps to set a comic scenario for 14 of CPYB’s younger dancers, most ages 10 to 13. It’s about a fictional June Series ballet where things begin to go wrong. Sloan based her idea on an old superstition that it’s bad luck to wear a peacock feather on stage, a mistake that one of the dancers in her piece makes. It’s not easy for these dancers, who are trained toward perfection, to suddenly appear clumsy on stage. But Sloan said the nine girls and five boys who will perform in her piece are very focused and passionate about getting things right, even when that means making them look wrong. School founder Marcia Dale Weary says the June Series is an important part of the training that every CPYB student receives, whether they plan to have a professional career or not. In well-established works like those by the late Balanchine, steps and movements for each piece are prescribed with exactitude — especially in the heads of répétiteurs who have been trained to teach others how to perform them. CPYB, one of the few schools in the nation authorized to perform Balanchine’s works, has a quite a few of his choreographies in its repertory, especially the popular ‘The Nutcracker’ ballet that students perform at Whitaker Center and Hershey Theatre each holiday season. In all cases, the responsibility for ensuring that the works are performed correctly falls to Balanchine répétiteur Darla Hoover, a CPYB alumna and longtime faculty member who once danced for Balanchine in his New York City Ballet. 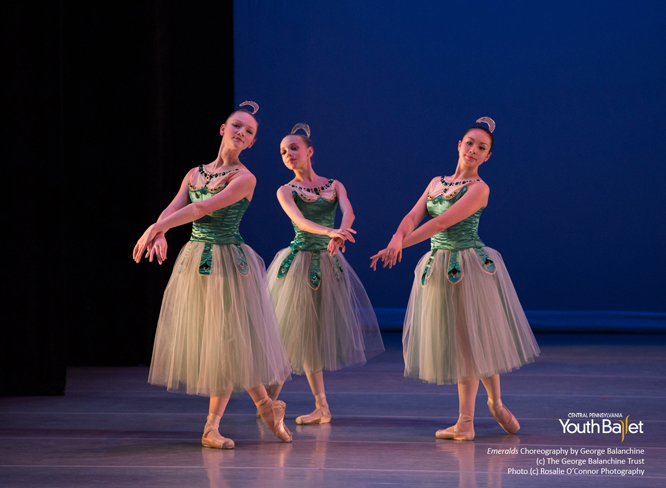 At CPYB, students are steeped in the Balanchine method from early in their training, both through live performances and classroom work with Hoover. Balanchine created “Allegro Brillante” in 1956, calling it “everything I know about ballet in 13 minutes.” Set to Tchaikovsky’s Piano Concerto No. 3, it is a joyous, bravura work that even the most advanced dancers love to perform. CPYB’s most advanced students will perform the work, including Abby Jayne DeAngelo, also known as “Peanut,” who has been training to be a ballerina since she was 7 and seems destined for professional success. When it comes to Balanchine, Hoover is not a choreographer, but rather part of a living memory that preserves the nearly 400 works that the Russian-born artist created prior to his death in 1983. The June Series, more than any other public performance by CPYB, shines a light on the craft of choreography. The four days of concerts can serve as an excellent introduction to ballet, but also offer a chance for even ballet veterans to see something different. For example, Matthew Powell, the newest member of CPYB’s permanent guest faculty, has put together a piece that features 12 young men — and no women. Using music by Russian composer Sergei Rachmaninov, Powell has created a fast-moving work that will emphasize the inherent strength of the participants. Many ballet schools would not be able to stage this work for the simple reason that they do not have a dozen male dancers under their roof. “I can’t think of too many schools that have enough men to execute the piece,” Powell said. 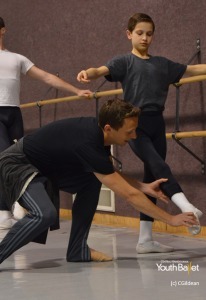 Choreographer Matthew Powell with CPYB student Braden Hart. But CPYB does have sufficient resources. That process of discovery is what motivates choreographers as well as the dancers who stage their works. Powell, Sloan and Cirio all agreed that they have enjoyed their partnership with CPYB’s young dancers. Powell, who joined CPYB’s faculty in January, said the talent level at the school is amazing. Cirio, who has been choreographing for four years and recently created a well-received piece for his own Boston Ballet, is not only creating a world premiere for June Series, he’s integrating a live orchestra on a tricky Bach composition. He doesn’t have much time for hand-holding — and not much need for it, either. Hoover said the Balanchine Trust would not allow CPYB students to perform Balanchine’s work if they were not exceptional. As they will demonstrate during June Series. Freelance writer David N. Dunkle misspent a good portion of his youth at a summer stock theater, sparking a lifelong interest in telling people why they should love the arts, including ballet. David’s current work can be seen regularly in both the Harrisburg Patriot-News and the Carlisle Sentinel. He lives in Harrisburg’s lovely Bellevue Park.